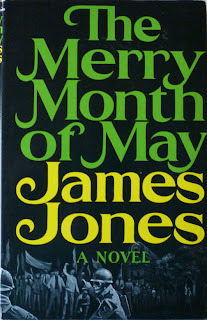 3) And this relates specifically to The Merry Month of May, in that while James Jones exerts a certain curiosity for me due to the fact that he wrote The Thin Red Line – a novel I would quite like to try – The Merry Month of May is perhaps his least-liked book, and though it deals with an interesting event – the 1968 Paris student riots – it got such a kicking from the critics that, having bought it, I've now lost any urge I might have had to read it. 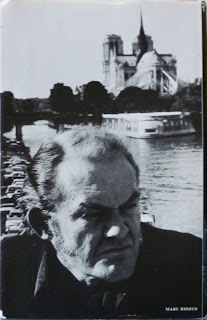 Mind you, seems most of his books divided critics to a greater or lesser degree, so perhaps I'm being unduly cautious. I think I'm more likely to give The Shooting Party a go, as it's Colegate's best-known book (due, partly, to it being turned into a film in 1985, which I recall enjoying) and it's very well regarded, as this Washington Post review makes plain. But both books, I suppose, illustrate one of the pitfalls of charity shop first edition book-buying, which is that sometimes you take a punt on a novel in the heat of the moment and later discover it's not for you after all. Weighed against that, of course, is the fact that the money you've handed over is going to a good cause, and in truth a pound or two really isn't that much dosh in the grand scheme of things. I am left with a question, however: if I take both books back to the charity shop, would that in essence negate the point of this post (if, indeed, it ever had a point), thus turning it into nothing more than a colossal waste of everyone's time (I mean, more so than usual)? The only way to answer that is to try and salvage some modicum of purpose from this farrago; I guess I could get people to vote in the comments section on whether or not I should read either book, but I fear no one would bother to comment, which would only serve to make a further mockery of proceedings. No, the best thing, I think, is to plump for my standard fallback position, which is to discuss the covers. 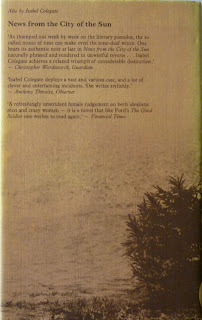 That said, I'm not sure I can summon much enthusiasm for Craig Dodd's dustjacket for The Shooting Party; it's just a bit... well... sepia. 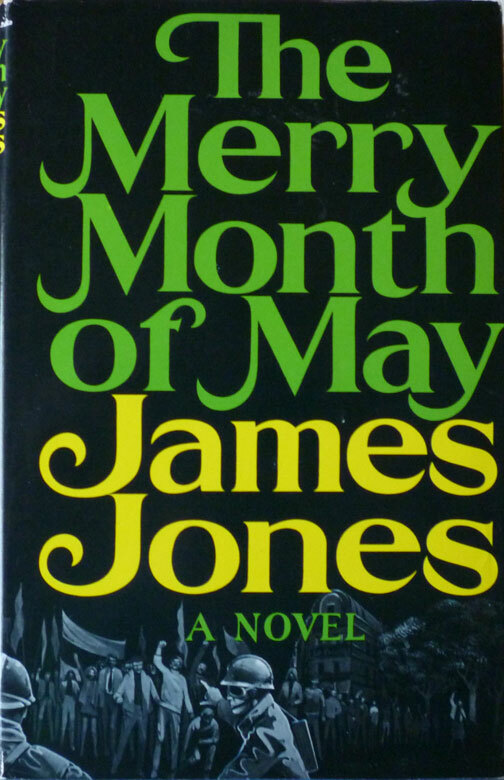 I think I can do better on the jacket for The Merry Month of May, though, because that was created by Paul Bacon, and Bacon is well worth spending a moment on. 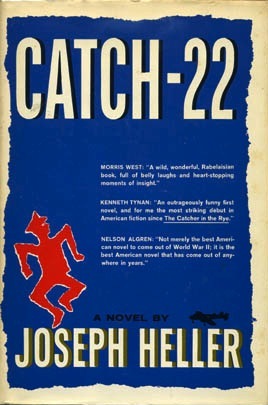 An American book and record cover designer, he's credited with originating the "big book look" in the 1950s, whereby a novel's title and the author's name are featured very large on the front. 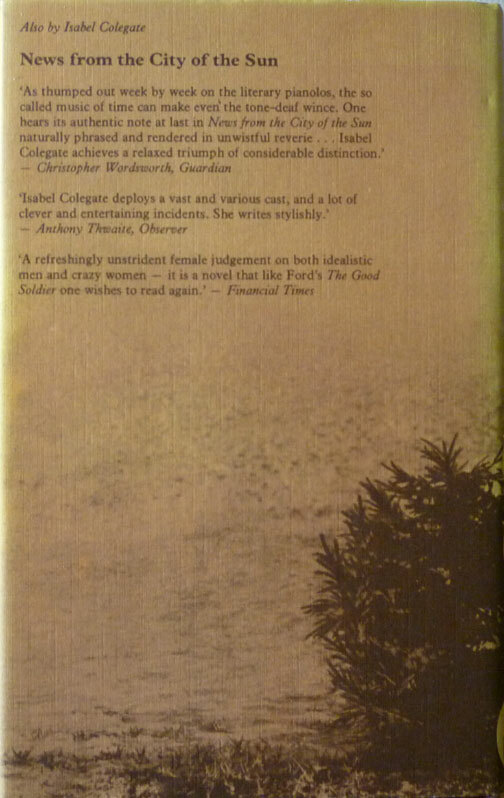 Catch-22, Slaughterhouse Five and many other novels benefited from this design style, and The Merry Month of May is a prime example of it. But Bacon might be even better known for the record sleeves he designed for Blue Note and Riverside in the '40s, '50s and '60s; there's an interview with him about that aspect of his career here, and a gallery of his Riverside covers here. 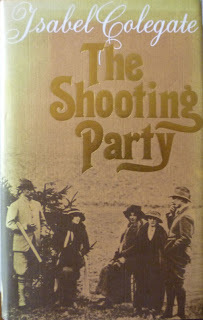 Isn't The Shooting Party also a Chekhov short story? (I guess I could be bothered to go figure this out on my own). I do love returning books to the thrift shop. When you only pay a small amount in the first place, it feels like you are basically renting them. I can't speak for your own hoarding, er I mean collecting, habits but if I am not interested in a book and if I'm not going to read it, I get rid of it. But shelf space is at a premium in my place as well, so that is a factor. Still, I don't like to look up at my shelf and see books that don't have some kind of meaning for me. Btw, sorry for the lack of commenting. I've been following along assiduously but haven't had much to say. You are blogging like a champ this year! Keep it up. I do periodically (read: every day) look at my shelves and wonder how I can prune them; there must at this point be books on there I'll never get to read. But there's always a chance I might, and if I get shot of them, who's to say I won't live to regret it? Mind you, it's not exactly hard to lay your hands on firsts of either of these books, so sod it. Back to the charity shop they go. So this was the Existential Ennui April Fool's Day joke - getting rid of books. Ha ha ha. You are so funny. I'm afraid I can. The groaning bookshelves can only take so much, so any books I've bought that I know I'm never gonna get round to are being taken out back and shot.